Completed just 7 weeks before his death on April 9th. 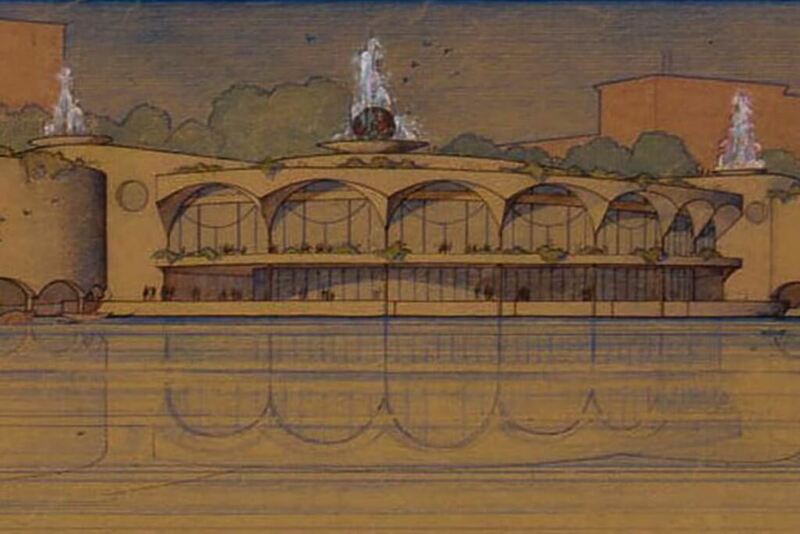 Frank Lloyd Wright originally proposed a design for Monona Terrace Community and Convention Center in 1938. 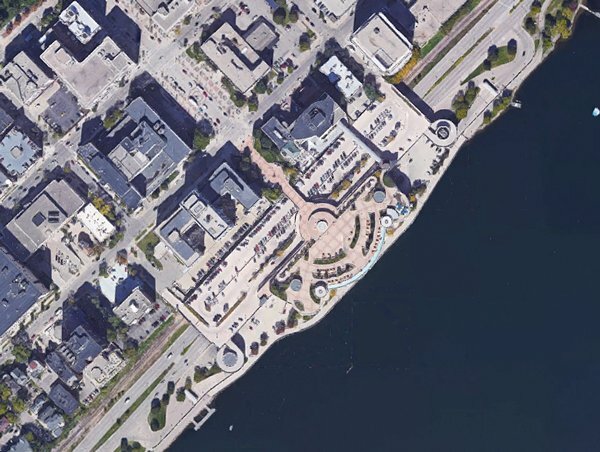 His architectural vision for the City of Madison—a curvilinear gathering place linking the shore of Lake Monona to the State Capitol—finally realized in 1997. 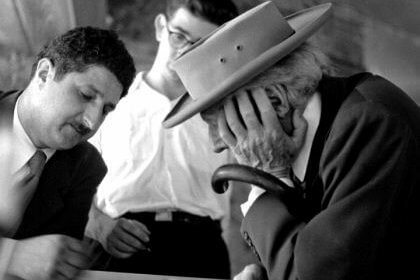 A vision 59 years in the making. 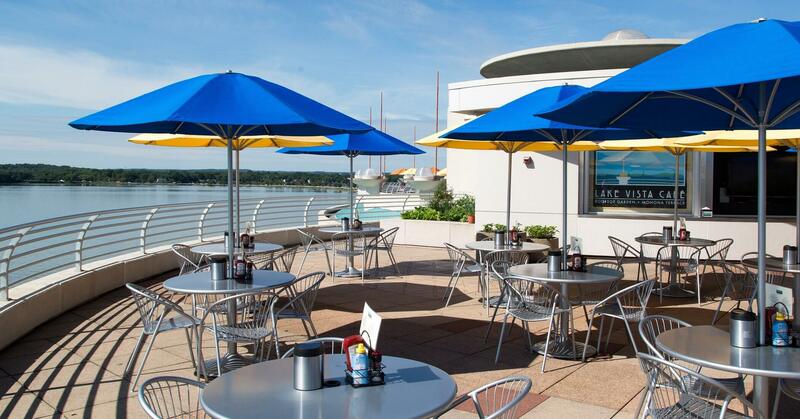 Monona Terrace continues the legacy of this internationally acclaimed architect. 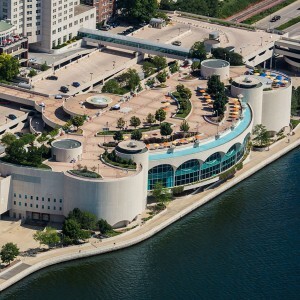 One of the most memorable ways to learn about Monona Terrace is by taking a guided tour of this architectural masterpiece. 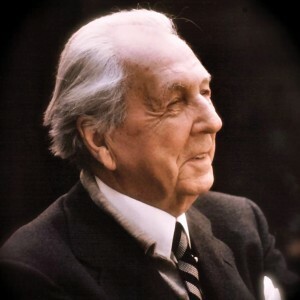 Frank Lloyd Wright is considered to be the greatest American architect of all time. 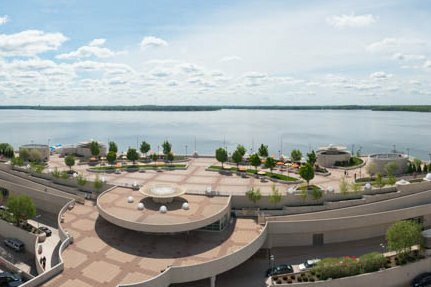 The Monona Terrace Gift Shop offers the widest and most unique selection of Wright-inspired merchandise in Madison, Wisconsin. From traditional home decor to stunning new jewelry, we have over 1,500 items, so you are sure to find something special for everyone. 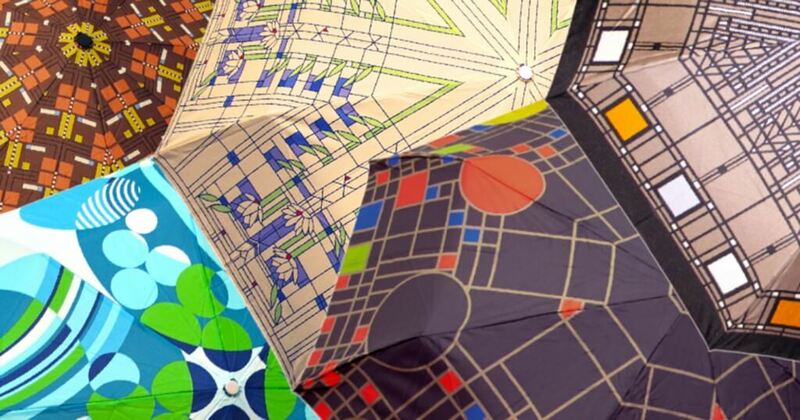 With our extensive line of ties, scarves, stained glass window hangings, clocks, pillows, vases, throws, and coasters, we have the perfect gift for you. 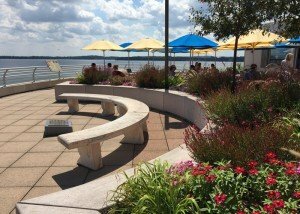 Enjoy sprawling views of Lake Monona and downtown Madison’s cityscape at Lake Vista Café, located in the William T. Evjue Rooftop Gardens. 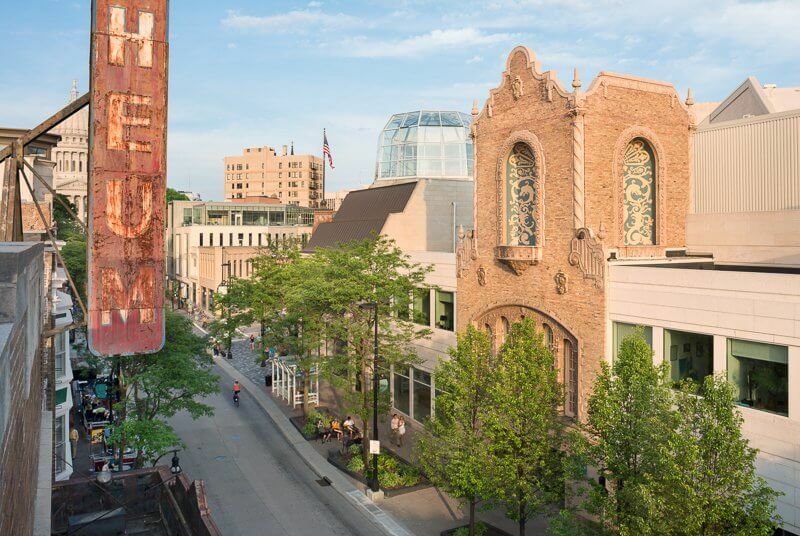 It’s the perfect stop for lunch, dinner or happy hour. 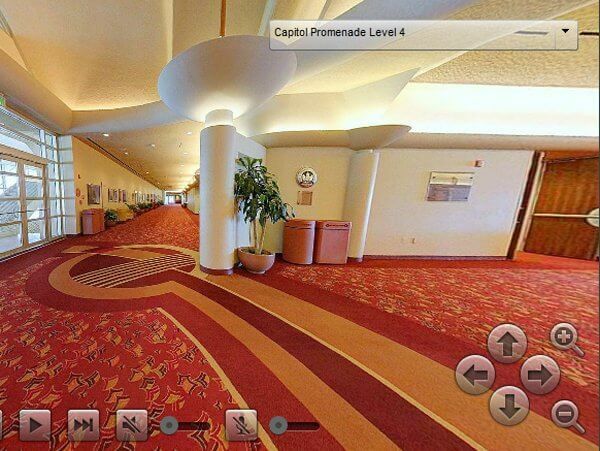 Level by level and room by room.